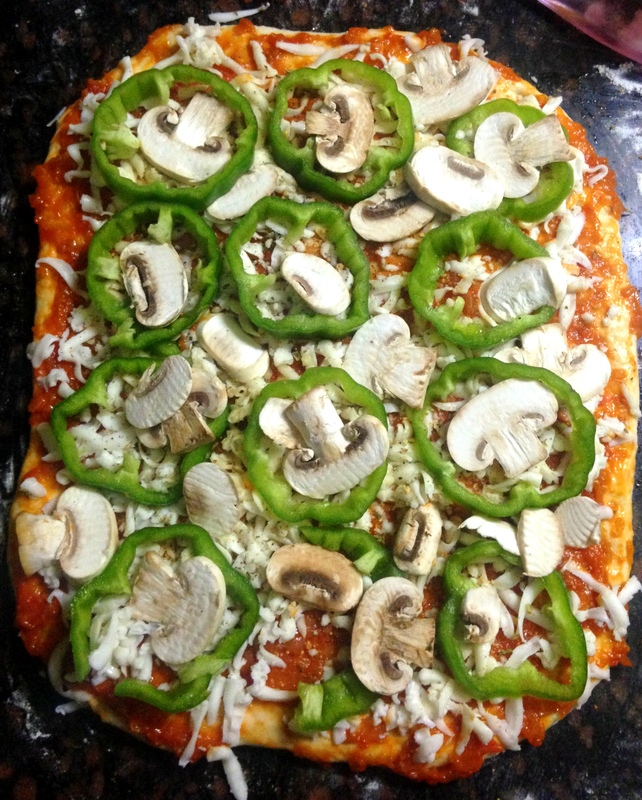 The process is fairly easy and starts with my pizza dough as the base. 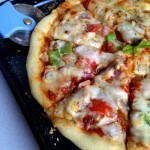 The pizza dough is fairly easy to make and can be frozen for up to 2 months. 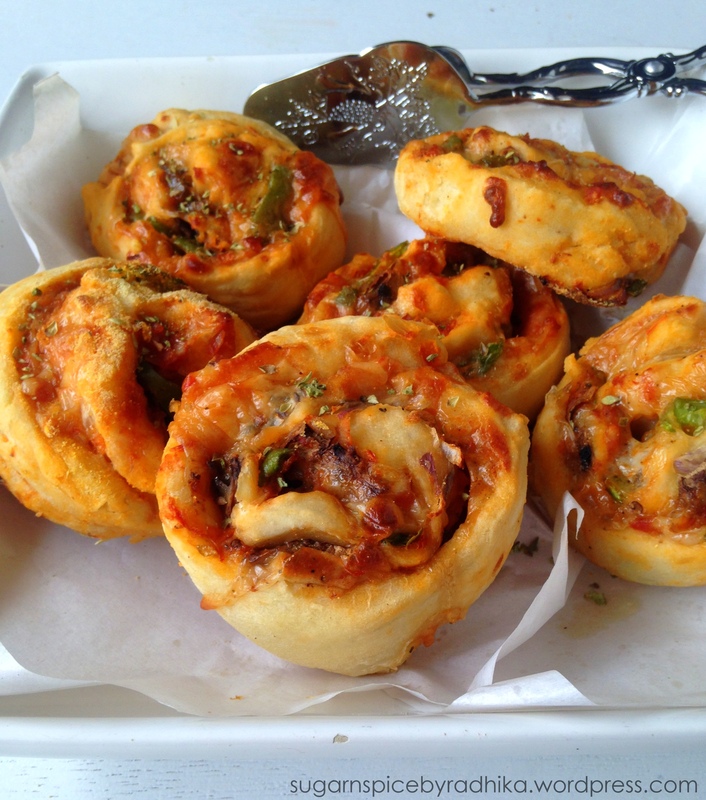 If you happen to have pizza dough at hand, you can straight away start making the rolls. 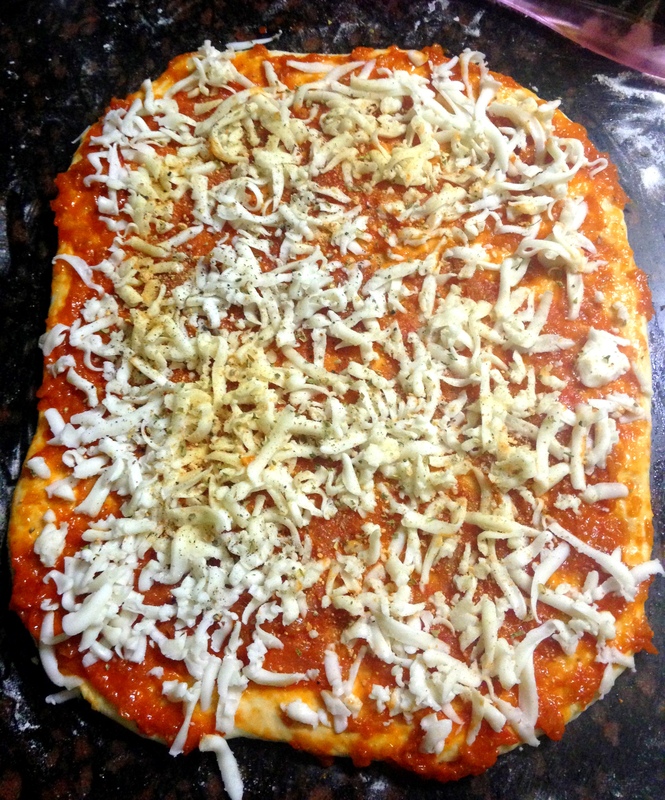 It is always a good idea to make pizza dough in bulk and then freeze them to be used later. 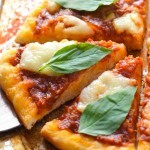 This dough is so versatile that I have so far made not only my Veggie Pizza but even my Foccacia Bread with it. 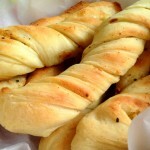 The recipe for the dough produces enough dough to make around 18-20 rolls. If you don’t fancy making so many at once you can simply half the recipe or even freeze half the dough (which is what I do almost all the time). 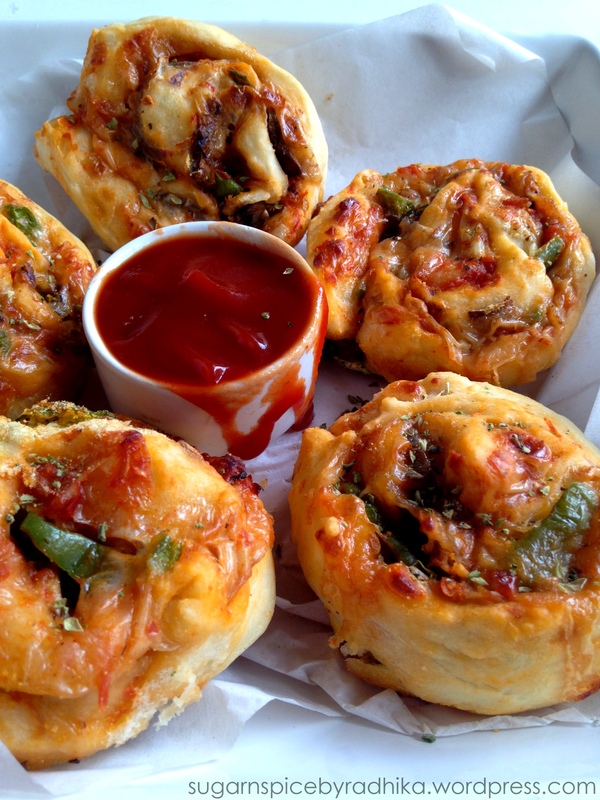 Important: I’ve read a million versions of this pizza roll recipe, a lot of them without any pizza sauce as it becomes difficult to handle the log because of all the sogginess from the sauce. If you’re a beginner and do not want to be intimidated, I’d suggest you to steer clear of the sauce and straight away pile on the toppings and seasoning. 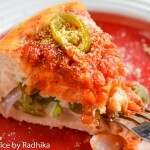 You could chill the dough in refrigerator to reduce the mess but you cannot eliminate it, so unless you know you way in the kitchen even a little bit do not use the sauce. You can use it for dipping which tastes great, by the way. Not trying to scare you! Activate the yeast. To activate the yeast, add in the ½ teaspoon of sugar to the lukewarm water in a jar and mix until dissolved. Once the sugar has dissolved, sprinkle the yeast and mix until somewhat dissolved. At this point, cover the jar with plastic wrap or cling film tightly and let it sit for 10 minutes. After 10 minutes you will notice that the surface of the water will appear foamy and the yeast will be completely dissolved. If none of these happen, it is possible that you killed the yeast (water too hot) or the yeast didn’t wake up (water too cold). Read the post above to learn how to deal with yeast. 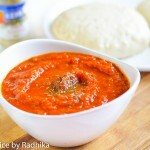 In a bowl, sift together flour, salt and add in the olive oil and 1 tablespoon sugar and mix. Now add in the foamy yeast water and make it into a ball of dough. Toss this ball onto a floured surface and start kneading by hand (7-10 minutes) or mixer (7 minutes). I normally set a timer for 7-8 minutes; by that time my dough is normally smooth and springy. If it’s I knead until it is, which could take another couple of minutes. To learn about kneading dough, read the post above. Once the dough is nice and springy, lightly oil it and place it in a large bowl that has been lightly oiled too for about 1-2 hours until your dough doubles up in size. Mine usually take 1 hour 10 minutes but it is normal for the dough to take up to 2 hours depending upon the quality of your yeast. Once the dough has doubled in size, punch it a few times to release air. Divide the dough into two balls and place them in separate bowls, lightly covered for 10 minutes. At this point you can freeze the balls to be used later. You can also freeze half of the dough to be used later. Freezing and thawing details are given at the end of the post. 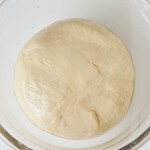 After the 10 minutes are up, the dough is ready to be used. 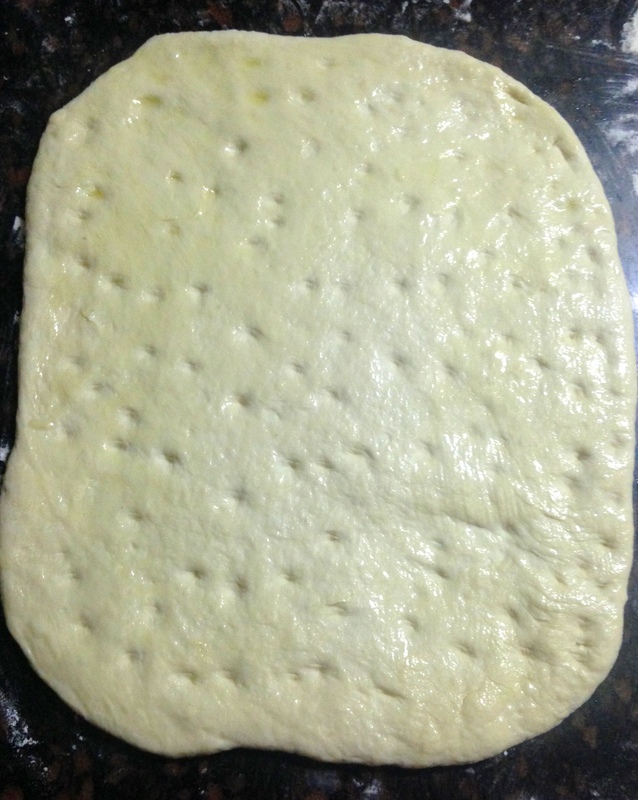 Roll out each ball into a 9×12 inches rectangle and poke with your fingers throughout the dough and brush with olive oil. This is done to avoid any sogginess in the final rolls. 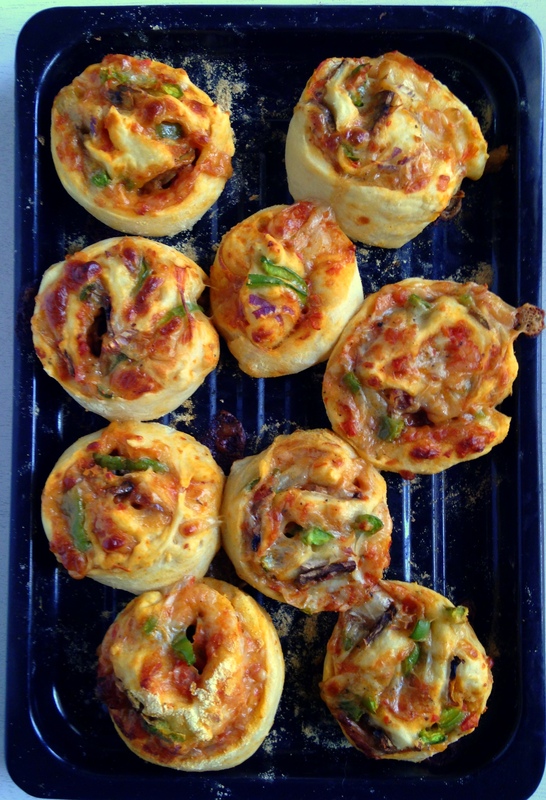 Brush the doughs with 1/3 cup pizza sauce each and top with 1/2 cup mozzarella cheese each followed by 1/3 cup mushrooms and 1 bell pepper each. 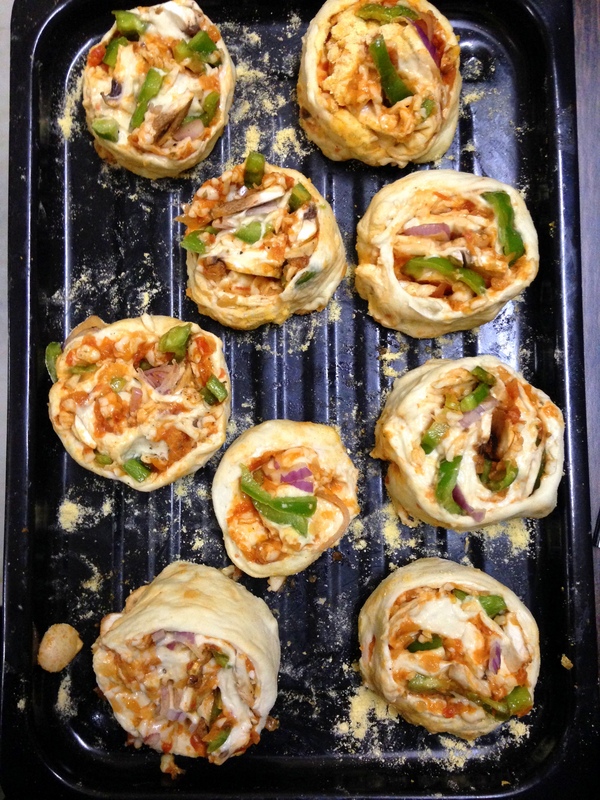 Roll the dough into a tight log (as tight as you can) and chill in the refrigerator for 30 minutes. Pour cornmeal in a flat plate. Cut the log into 9-10 1-inch rolls. Dunk the bottom of the roll in cornmeal and line on a baking tray. Bake at 180 degree Celsius for 20 minutes or until the sides start to become golden. 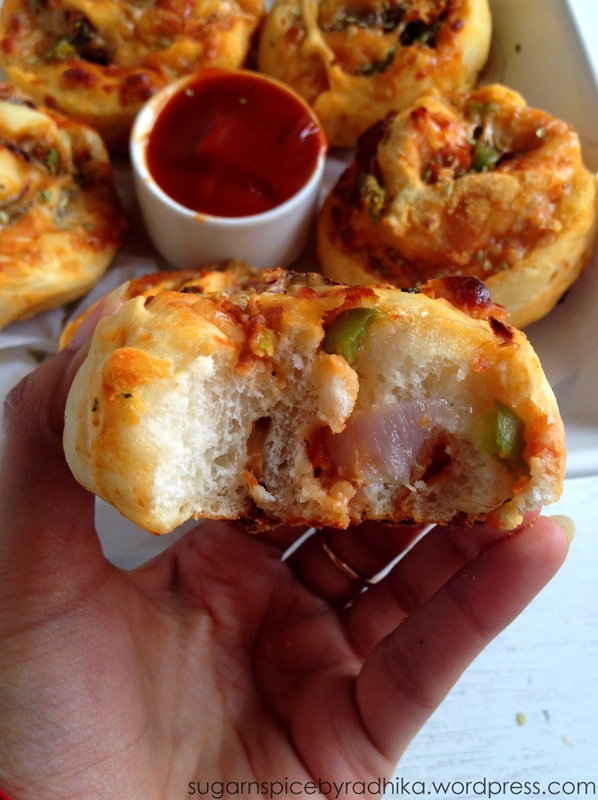 Enjoy these pizza rolls hot. Consume immediately or refrigerate for upto 2 days. Freezing : If you decide to save half of the dough to be enjoyed later, simply coat it with oil lightly and place it in a ziplock or airtight bag and freeze until required. Thawing: When you’re ready to use the dough, Transfer the frozen dough ball bag from the freezer to the refrigerator and keep it there overnight or for 12 hours. 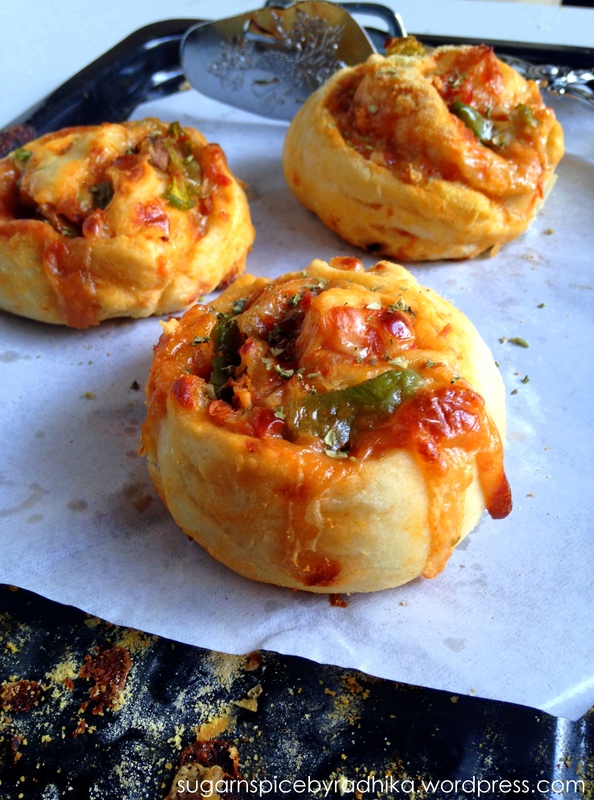 When you’re ready to bake the pizza rolls, place the dough outside on the kitchen counter 30 minutes before baking or until it reaches room temp. 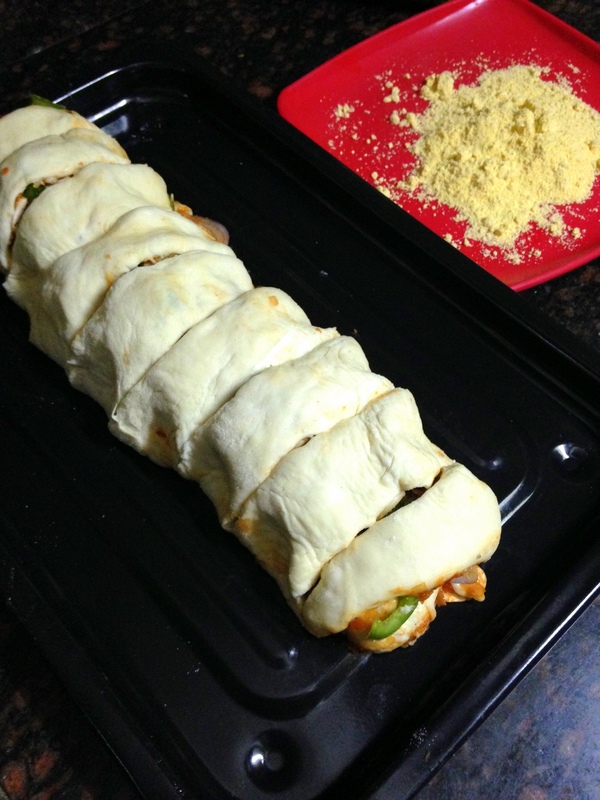 Continue with “assemble and bake”. The dough balls freezes well for 2 months. 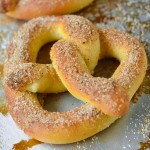 This recipe has been adapted from Sally’s Baking Addiction. 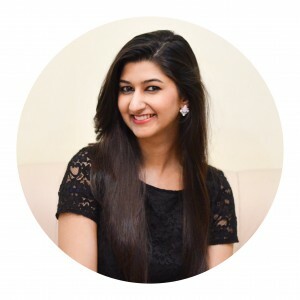 This is fabulous, Radhika! Perfect for a party! Thank you ever so much Elaine! And you’re most welcome! Thank you ever so much for such amazing compliments! 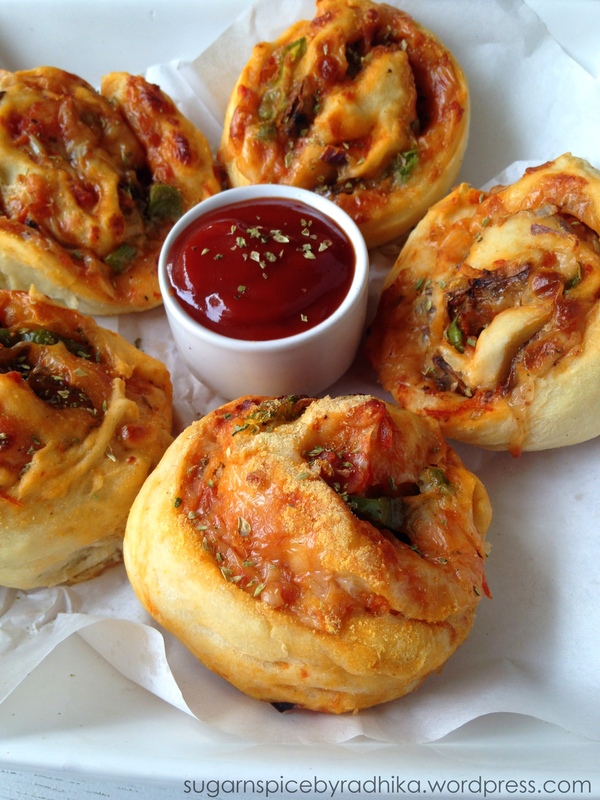 I loved pizza rolls too and always feared making them. They look intimidating, don’t they? I thought step by step visuals will help people understand better. Thanks for the appreciation! YUM! 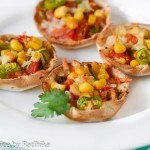 I want to make these so much, I probably will tomorrow! What Brand of mozeralla cheese do u use ? ?